Creating books with children couldn’t be easier and the benefit to their literacy development is great. Reading and writing go hand in hand. Even if your child can’t write with conventional letters, it is important that they “pretend” to be writers. Scribbling and making random letters are part of the developmental stages in writing. Let’s explore some easy and fun book publishing projects. We will look at four different options ranging from free to $20. FOLD AND CUT: The fold and cut book is one of the quickest books to make with the least amount of supplies (paper and scissors are all you need). 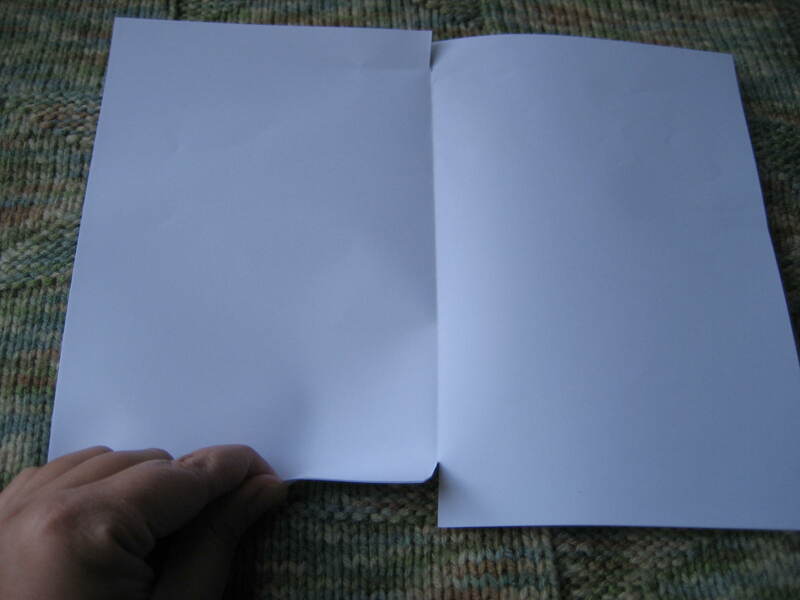 Select one sheet of light-colored unlined (blank) paper and fold it in half (hamburger fold- the fat way as opposed to a hotdog fold- the long skinny way). 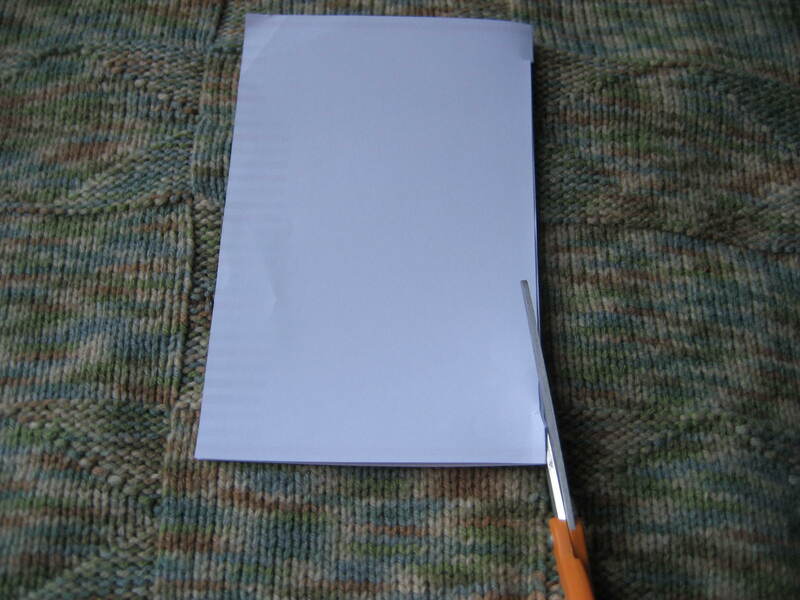 While folded, cut along the fold starting a 1/2 inch up the side and ending a 1/2 inch before you reach the end. Now you are ready for the pages of your book. Take five (you could use a few less or a few more) sheets of the same paper. Stack your sheets and make another hamburger fold. Open the pages back up and cut a 1/2 in. slit at each end of the crease/fold. Ready to assemble? Open your first cut page. Take your stacked insides and gently bring the long ends together. 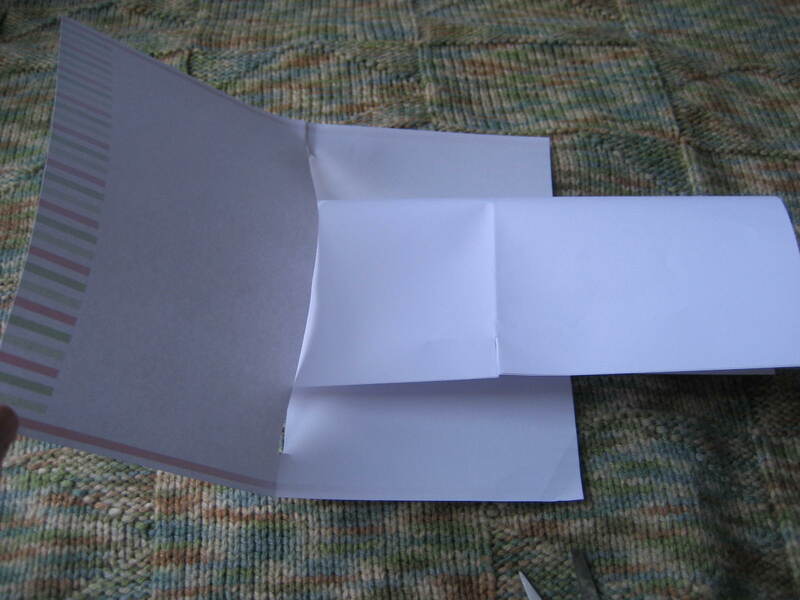 Slide the stack through the first page so that all the folds line up. Gently release the pages so they go back to lying flat with the closed ends of page 1 sliding into the slits of the rest of the pages. Close your book, get creative and write a story! FREE WEBSITE: Let’s Book It, is a free website with over 25 templates for making books. 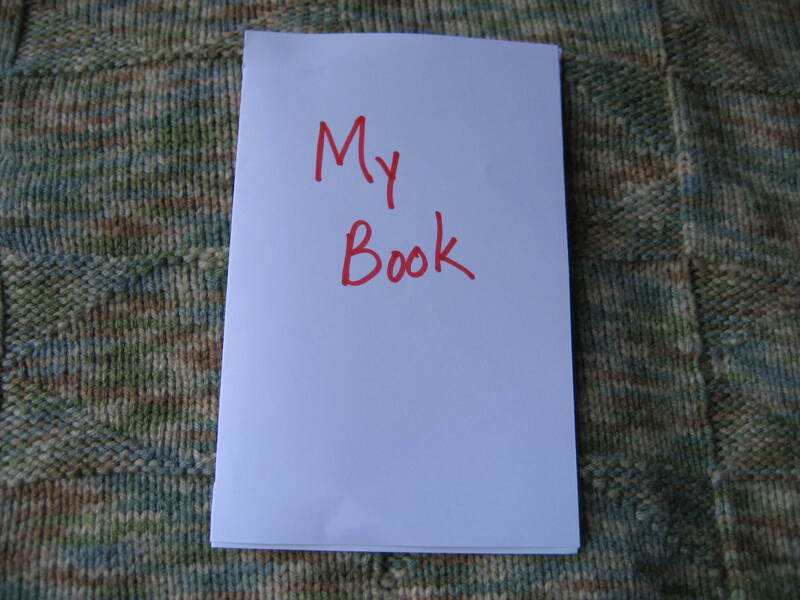 The site also includes links to other book making projects. FEE BASED SITE: If you would like a professional looking published book, there are a few websites that can accomplish that look. One that I like is Tikatok. This site is associated with Barnes and Noble. You write and illustrate your story. Illustrations can be uploaded. Then, you choose to have your book published in a softcover or hardcover format. Prices begin at $15. You can also choose to digitally download option for $2.99. PURCHASED KIT: IlluStory made by Creations for You is a kit that can be purchased at Amazon or many parent/teacher supply stores. I’ve given it as a gift a few times. 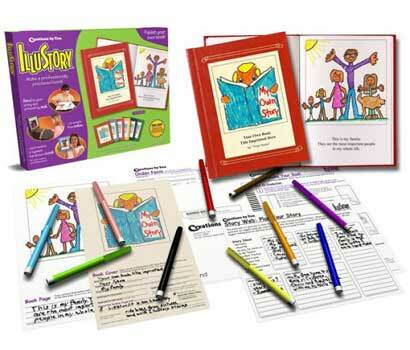 The child writes the story and illustrates it on the sheets provided. You then send the manuscript off in the mail and it comes back to you bound as a hardcover book. The benefit to this kit is that you can do it all by hand so it’s great for younger children. No computer is needed. Although, there is an online version if you so choose that route. Amazon sells the kit for $19.95. So, you have lots of choices for book making projects. Now it’s time to start your children on thier book.